Are you looking to maximize your enjoyment of this year’s Rolex Monterey Motorsports Reunion? Do you own a Porsche? 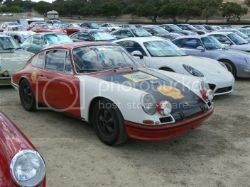 Then you’re invited to the Porsche Club of America car corral, open Saturday and Sunday, August 16 and 17. Located in Mazda Raceway Laguna Seca’s infield at Turn 5, the Porsche-only corral features a hospitality tent with a flat-screen television and great views of the vintage races for PCA members and Porsche owners. A $65 corral package secures a parking space in the corral for your Porsche and includes a PCA Monterey Bay Region event T-shirt and access to PCA’s hospitality area. All PCA members and Porsche owners who don’t purchase a corral package are also welcome in the PCA hospitality area — just remember to bring a PCA membership card or Porsche key to gain entrance. Free drinks will be provided, complements of PCA, and catered lunches are available through pre-registration for an extra $40 per person on Saturday and $30 on Sunday. All event attendees are required to have a general admission ticket. The Rolex Monterey Motorsport Reunion weekend with the most exquisite collection of racing history is scheduled for August 15-17, 2014. 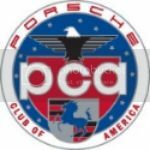 We have a great partner with Porsche Club of America, new location this year in our own hospitality area for Porsche corral participants, their guests and PCA members. Our hospitality will be located at the apex of Turn 5 (driver's left Turn 5). This location will give you a wonderful views! We're working with our new caterer and will have menus posted shortly. PS - we have been able to work with our caterer, Golden Star Catering, to bring you great quality lunches at a reduced cost for you!